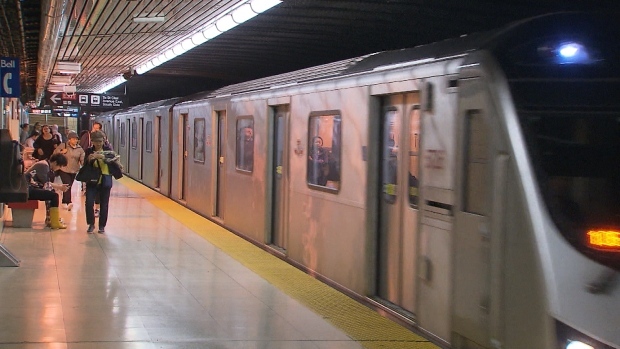 Subway service has been suspended along a five-station stretch of Line 1 due to planned work. The closure will affect service between Lawrence West and Finch West stations on both Saturday and Sunday. The TTC says that the closure is part of ongoing efforts to install a new Automated Train Control signal system. During the closure, shuttle buses will be able to board and exit shuttle buses at Lawrence West, Wilson, Sheppard West and Finch West stations. The TTC says that it will also provide a special shuttle bus to accommodate customers who want to travel to or from Yorkdale Mall. Customers can transfer between the Line 1 shuttle and the Yorkdale Mall shuttle at Lawrence West Station. Full service is expected to resume on Line 1 at 6 a.m. Monday.